Recreate iconic moments from Return of the Jedi! He's back - and it's time to build an army! 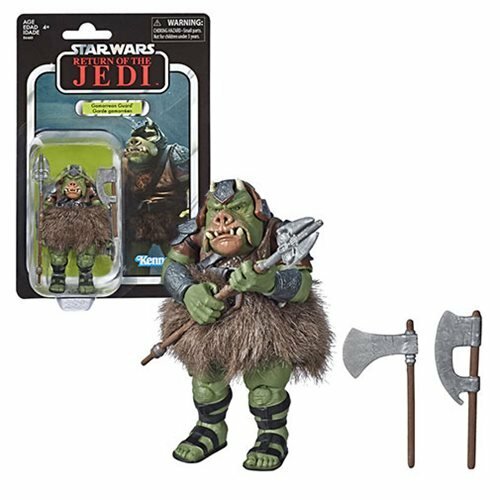 Comes with a pike, a 1983-style ax, and a 1997-style axe! What a handsome fellow! Imagine recreating iconic moments from Return of the Jedi. 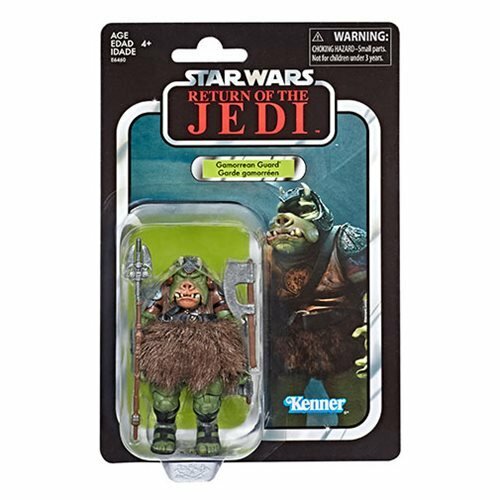 You can realize that dream with this Star Wars The Vintage Collection Gamorrean Guard 3 3/4-Inch Action Figure that features premium deco across multiple points of articulation and a design inspired by the blockbuster film! 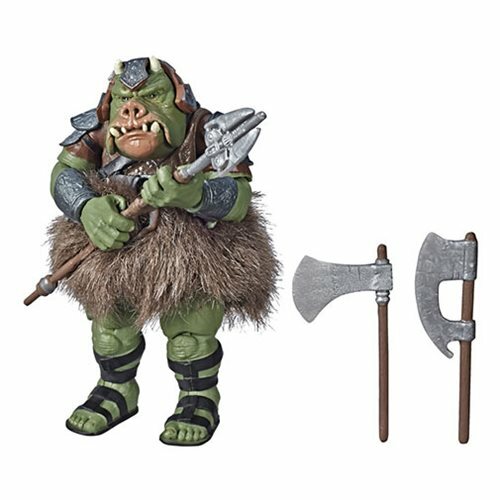 The green ham (no eggs) includes a furry midsection, removable hat, and three bladed weapons.